In the midday brief that I posted earlier today, I highlighted the climb in EUR/USD this morning. 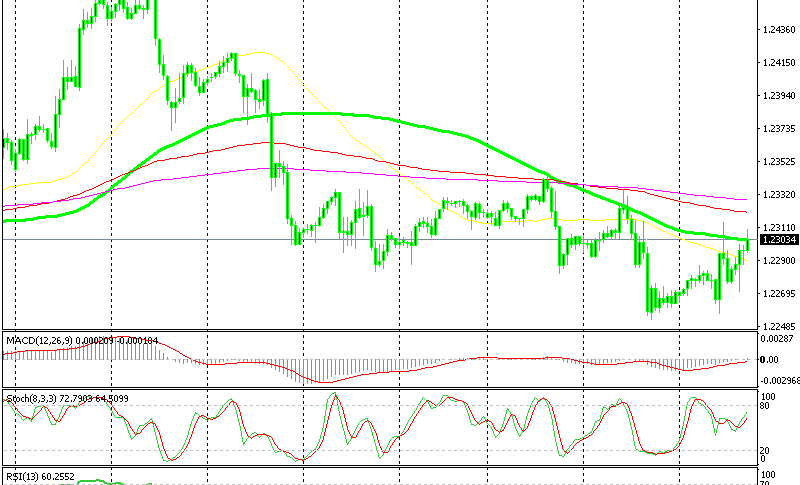 This pair has been bullish today and it has climbed up for around 60 pips from 1.2250s, but I am thinking about opening a sell forex signal up here. Let me explain why. For starters, the main trend is still down. EUR/USD turned bearish at 1.2470s last week after failing to break above 1.25. I’m still beating myself up for not opening a long term sell signal up there, but I digress. Another sign that this pair might reverse back down is the stochastic indicator. It is overbought on the H1 chart which means that the pullback higher is complete. Although, the main indicator for this bearish bias is the 100 SMA (green) as well as the other two moving averages above. 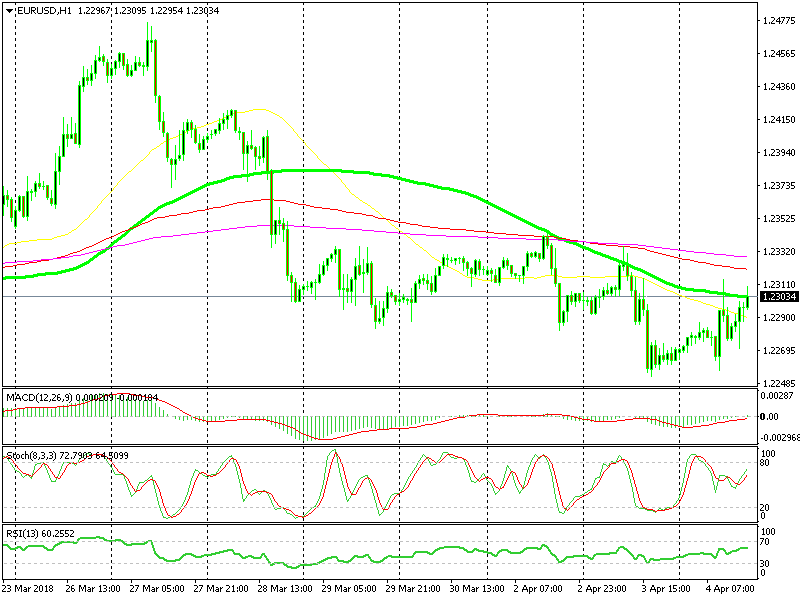 The 100 SMA together with the other two moving averages have reversed EUR/USD twice in the last two days, so they have provided solid resistance. The 100 SMA provided resistance earlier today as well, but it looks like the buyers are pushing above it now. The buyers have pierced this moving average twice in the last two days, but the price has reversed back down eventually. This might be the case again now. But just in case, the other two moving averages are waiting to provide resistance again higher up. So, I will wait a bit longer, perhaps we get a better selling price higher around 1.2320-30. By the way, this climb in Euro pair went in our favour since we had a buy signal in EUR/CHF which closed in profit.